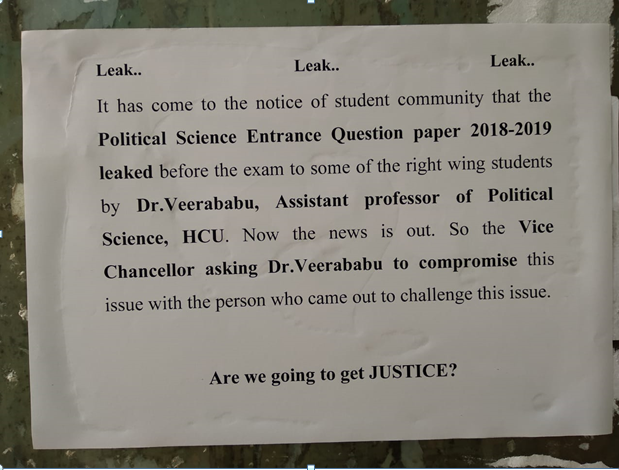 Anonymous posters inside the campus allege that the political science question paper was leaked to "right wing students". 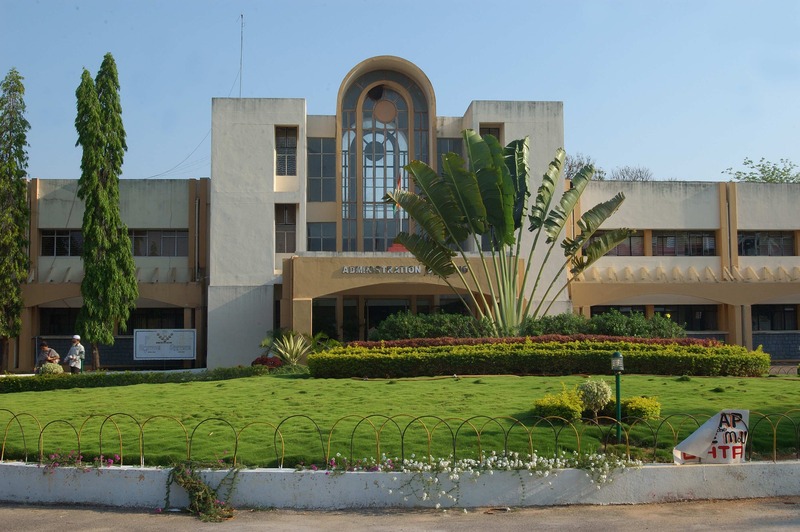 New Delhi: A committee has been set up to enquire into allegations that the University of Hyderabad’s (UOH) political science department’s PhD entrance exam for 2018 was leaked to a section of applicants. On Monday, anonymous posters were put up at several locations in the university, claiming that assistant professor Veerababu leaked the entrance exam paper to “right wing students”. On Tuesday, sources within the political science department confirmed to The Wire that a committee has been set up to investigate the allegations. The poster also claims that the vice-chancellor has asked professor Veerababu to “compromise this issue” with the person who has made the allegation. Beginning last week, students have staged protests, demanding an enquiry into the matter. Students have also raised the issue on Facebook groups and on other social media platforms. According to a student of the political science department, the professor is accused of leaking the question paper to a student who is a member of the RSS-affiliated Akhil Bharatiya Vidyarthi Parishad (ABVP). The student then leaked the question paper to applicants who were also associated with the ABVP, the student said. The university’s controller of examinations Devesh Nigam denied malpractice and questioned the authenticity of the posters. He told Newsclick, “The exam in question was conducted eight months ago on June 5, 2018, and the allegations made are beyond imagination.” He drew attention to the fact that the posters do not provide any evidence and that their anonymous nature brings into question the authenticity of the allegations. The Wire was unable to contact assistant professor Veerababu. The university’s spokesperson Vinod Pavarala was unavailable for comment. A questionnaire has been sent to the department’s head. The report will be updated when the response is received.